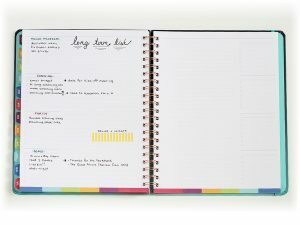 An innovative, stylish weekly planner designed with just the right balance of flexibility and structure. Space for your daily goals on the left and appointments on the right gives you the perfect balance of both worlds. Group your ToDos by project or task, personal or work. Use the six open list spaces to best fit your needs. 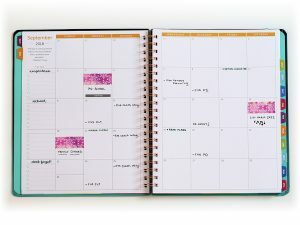 The unique weekly layout with 15-minute scheduling time slots will help you stay organized and on-time even when life gets busy. People ask me all the time how I manage it all. 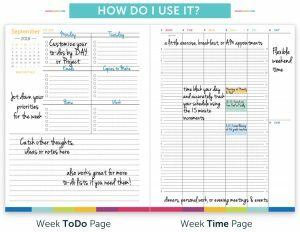 I’m a wife, mom of two toddlers, college instructor, church small group leader, and more — and while I don’t always balance everything well, a huge part of any success I do have has to do with this Time & To Do Planner, which helps me stay organized, plan-ahead, and have everything I need all in one place. 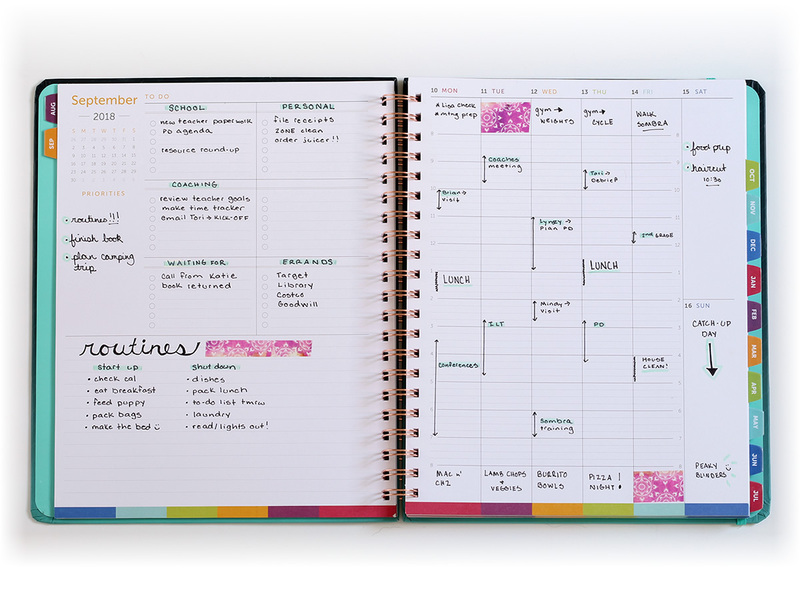 I have tried so many different planner styles, and this one truly is my favorite!